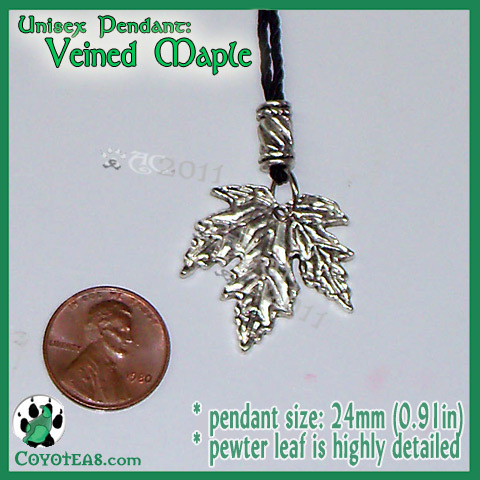 More Information: Maple leaf pewter pendant with delicate veins. Size is approx. 0.91in. wide x 0.91in. high (24mm). 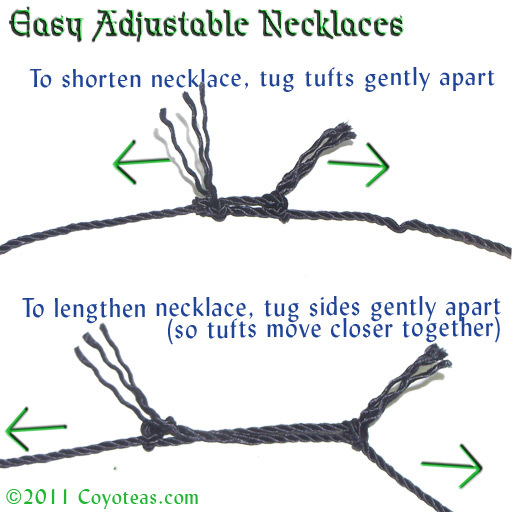 Pendant is suspended on an adjustable, twisted black nylon cord ~30in. (76cm) long, with twisted barrel hanging above it. Handcrafted by Coy. Related Products: Pewter Jewelry, leaf. This product first appeared in our catalog on Saturday 02 April, 2011.